Synopsis: The story of Jinnah, the founder of Pakistan. Historical politics can often form a fascinating backdrop to a movie, but rarely do they succeed as the main theme. Jinnah is a good example of how a worthy film suffers when characterisation and emotional involvement are sacrificed for the sake of (presumably) historical accuracy. The movie is hampered by a bizarre narrative device in which, like Ebeneezer Scrooge, the deceased Jinnah is forced to relive and justify key moments of his life by an “angel” in order to determine his fate in the afterlife. This results in the dead Jinnah having a discussion with his younger self at one point, and his angel tripping up a Hindu rioter who is intent on whacking Jinnah with a shovel. Make of that what you will. The political machinations – while quite possibly completely accurate – are mind-numbingly dull to any impartial viewer, and are often confusing. 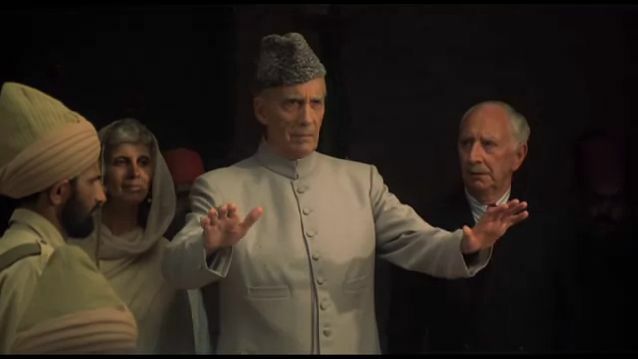 The performanaces vary: Christopher Lee (To the Devil a Daughter, The Lord of the Rings: The Fellowship of the Ring) is very effective as the elder/dead Jinnah, instilling his character with a sombre and dignified reserve. Unfortunately, James Fox (Cleanskin) plays Lord Mountbatten as if he is doing an impersonation of British TV comedian Harry Enfield’s ‘Tim Nice-But-Dim’ character. The movie looks great on an obviously limited budget although, once again, we are subjected to the modern blight of ‘Golden Hue’ throughout – to such a degree that even 1930’s London looks as if it is basking in an Egyptian sunset. 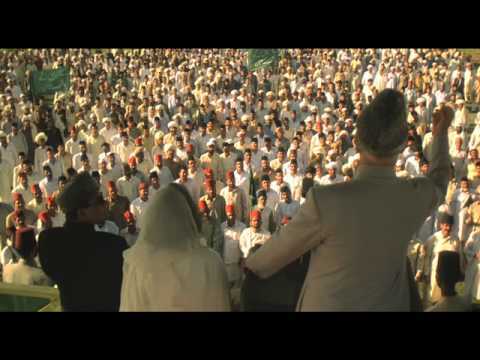 Jinnah – The story of Mohammed Ali Jinnah, founder of Pakistan.